An evil that lingered to bring Black people down. a righteous revolt, a song of silent amen's. 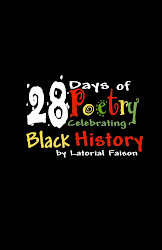 Latorial Faison was born on April 14, 1973 and raised in Southampton County, VA, . She has authored 11 books, including Mother to Son, Love Poems, the 28 Days of Poetry Celebrating Black History series, and children's book, Kendall's Golf Lesson. Faison attended UVA in Charlottesville and completed graduate studies in English Literature at VA TECH. Her writing has appeared in About Place Journal, Poetry Quarterly, Southern Women's Review, Deep South Magazine, Obsidian III, Blackberry, Chickenbones, Kalyani, and The Chattahoochee Review. 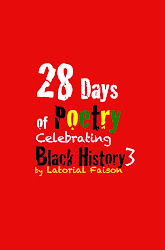 Faison was a finalist for the 2018 Furious Flower Poetry Prize judged by Poet Marilyn Nelson. Her writing has been published alongside Iyanla Vanzant, Danny Glover, and Dr. Cornel West in the NAACP Image Award winning book Keeping the Faith. 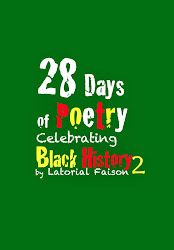 Faison has been published in BET's Digital Drum, Electronic Corpse: poems from a digital salon, The Poetry Society of Virginia's 80th Anniversary Anthology, and the University of Toledo's "Poems for Peace" project. 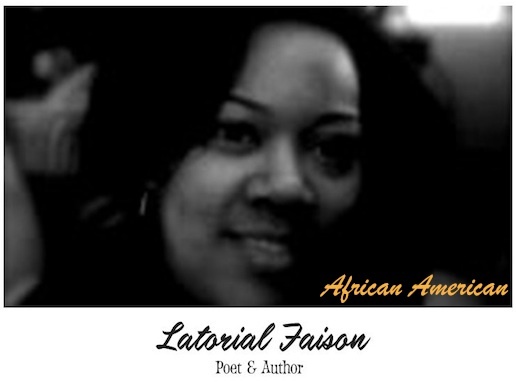 Faison is currently on the faculty at Virginia State University where she teaches writing and literature.